Like any other city, Lille’s Old Town is the perfect starting point to introduce yourself to the city. 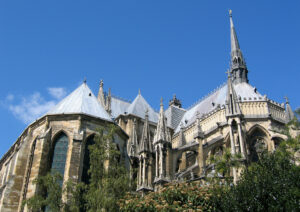 Vieux Lille, as it is known locally, is the perfect place to lose yourself and learn about the city’s history. 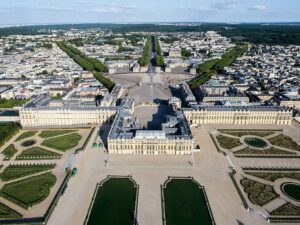 This is where you’ll find most of the city’s main landmarks, including l’Hotel de Ville (Town Hall), la Chambre de Commerce et d’Industrie (Chamber of Commerce), the Opera, the Grand Palace, and more. 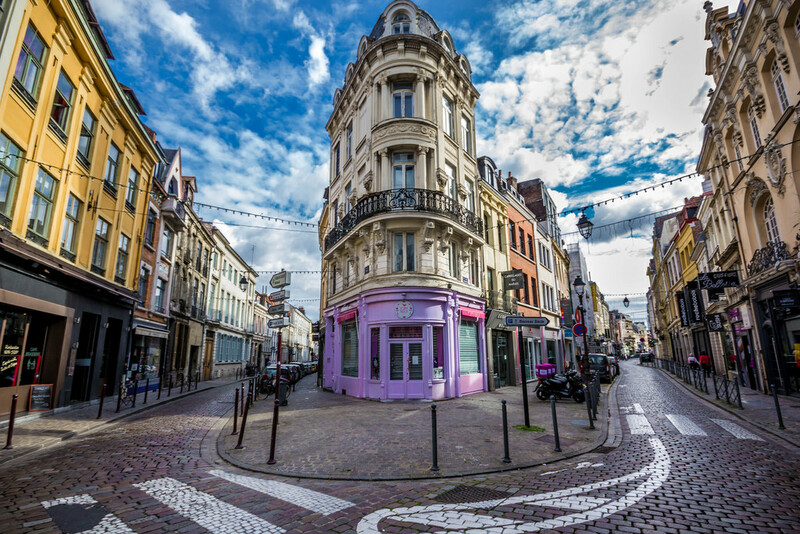 Losing yourself in Old Lille’s quaint streets is one of the best things to do in Lille. There are few historical figures as important to the French as World War II liberation hero and president Charles de Gaulle. 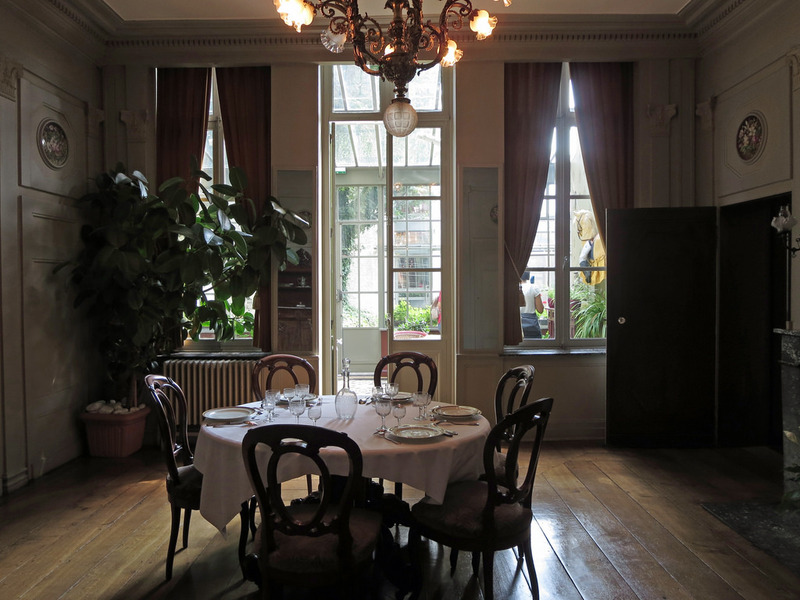 In Lille, you’ll have the unique opportunity to visit the house where he was born in 1890 with some of his original memorabilia at Maison Natale de Charles de Gaulle. The house has turned into a museum and study center, featuring a multimedia center and elegantly furnished rooms displaying the bourgeois lifestyle of the time. Estaminets are some of Lille’s most popular attractions. The charming restaurants can be found somewhere lost in Vieux Lille (look for them on the pedestrian streets!) and serve some of the most delicious traditional Lillois cuisine. 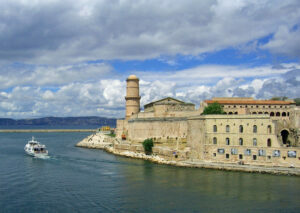 The most popular is Au Vieux de la Ville – book in advance if you want to try the local delights there! But make sure you’re hungry – Lillois cuisine is known for being hearty and highly calorific! Towering at 104 meters high, Tour Beffroi is Lille’s iconic symbol. And for good reason! The view from the top is simply unbeatable. You’ll have to climb some 100 steps before reaching the reception. From there, an elevator will take you up most of the way – but you’ll still have to climb a few more steps to reach the top. In all, the effort will be more than worth it! 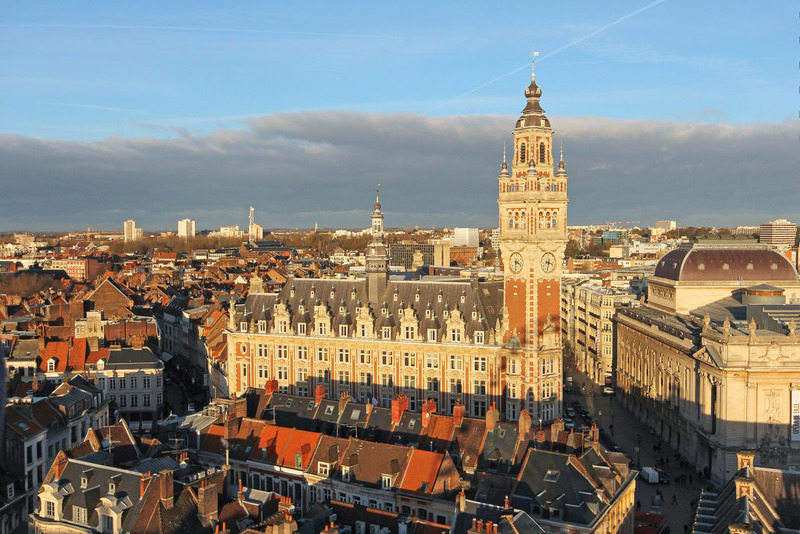 Enjoying the spectacular view of old Lille from the Tour Beffroi is one of the best things to do in Lille. Lille’s eclectic quarter of Wazemmes is the place to be on weekends. Here, old-school proletariats and immigrants from Africa live peacefully with young students and trendy bohemians. Every street is filled with lively bars, ethnic restaurants, and quirky shops. 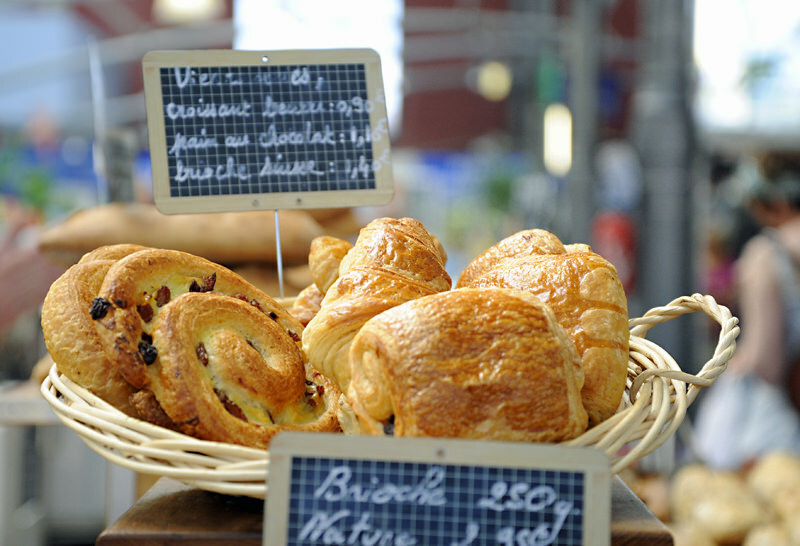 On Sunday mornings, the food market takes over the neighborhood with regional cheese, artisan bread, and home-made pastries up for sale. 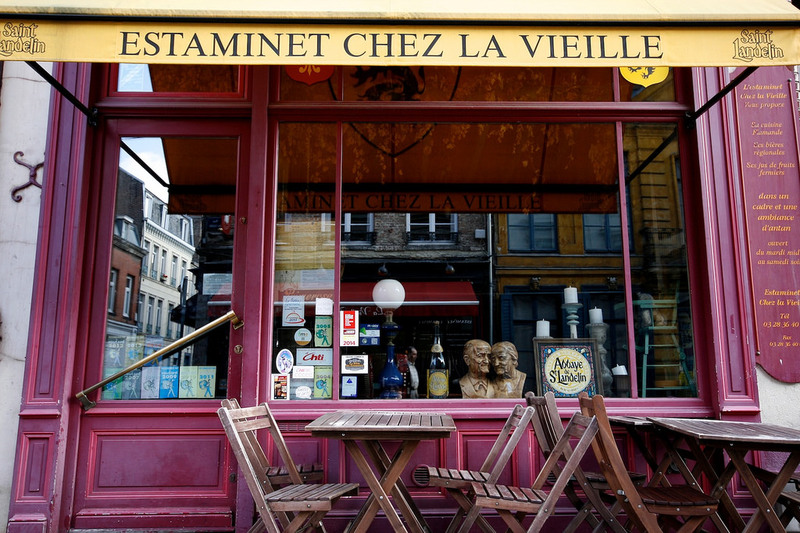 If you want to experience the city like a local, hanging out at Wazemmes is one of the best things to do in Lille! 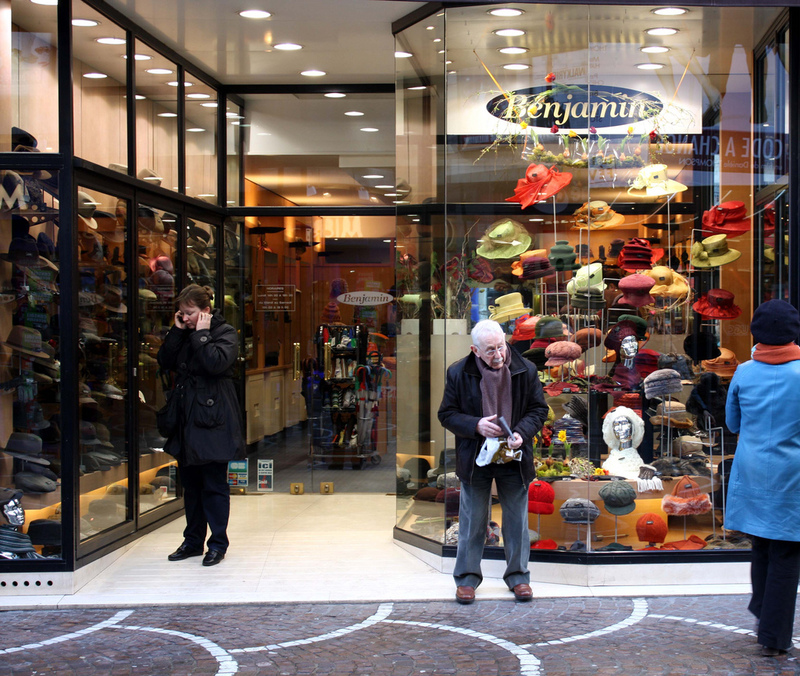 The quaint pedestrian streets of Vieux Lille are filled with shops perfect for an afternoon shopping spree! You’ll find everything from high-end French brands (think San Marina, Kookai, and more) to prestigious international stores and everything in between. 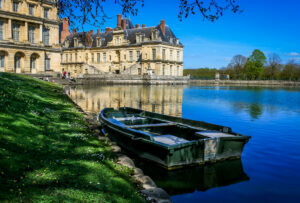 Plus, along the way you’ll be able to make as many pit stops as you want at local brasseries, coffee shops and bakeries! If you still need more, Euralille is an excellent mall full of international retail stores and even a supermarket where you can grab some local food before you go! Shopping is one of the best things to do in Lille. 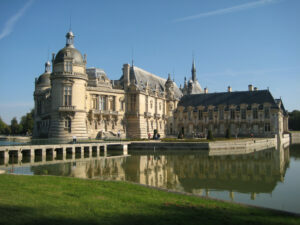 Lille is home to three world-renowned art museums and visiting them is one of the best things to do in Lille. Start your art tour of Lille at Musée des Beaux Arts where a premium collection of 15th to 20th century paintings include works by Rubens, Manet and Van Dyck. A free, interactive Visioguide app can guide you through 5 different itineraries in the museum. Then, it’s time to fast forward in time and visit LaM, the modern and contemporary art museum in Lille. Here you’ll find colorful and quirky works of modern art by the masters such as Picasso, Miró, and Calder. 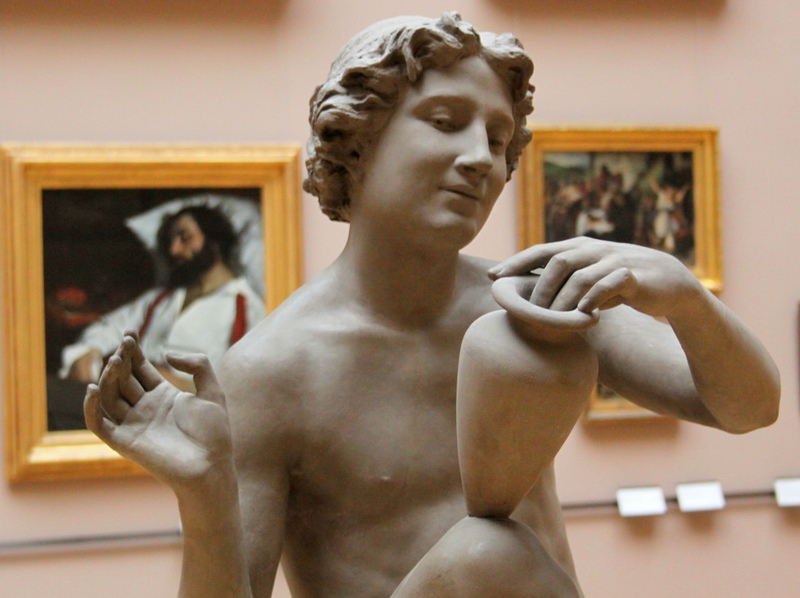 Some 30 minutes outside of Lille, you can also visit Musée Louvre-Lens. This sleek modern museum features an exhibit of over 200 works from the Louvre Museum in Paris. 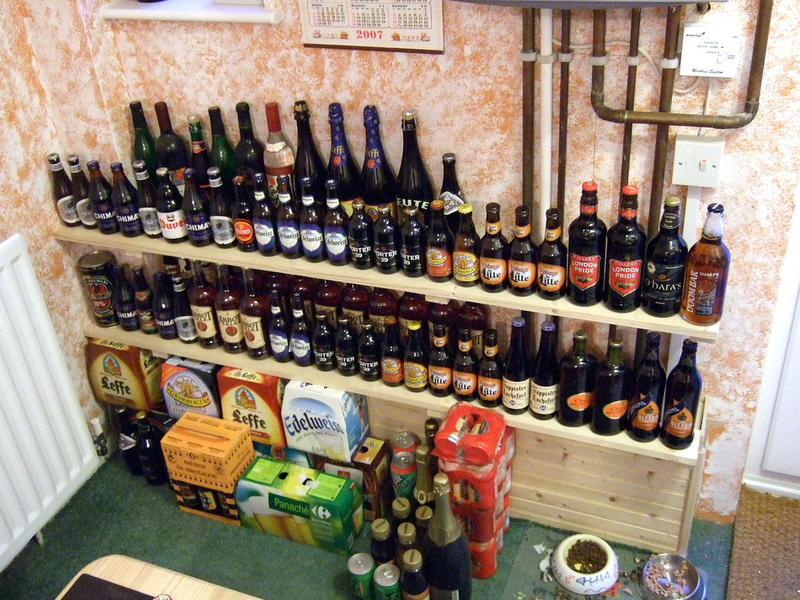 Due to its proximity to Belgium, Lille has a thriving beer culture that dates back centuries. 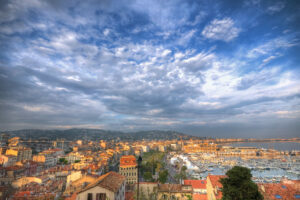 You’ll find more people here sipping on a cold beer than drinking the classic French red wine. Lille has its very own local craft beers so make sure to try at least one during your time in the city! One of the best spots to do it is in old Lille where underground stone “caves” are the traditional nightlife spot. The Vieille Bourse (the old stock exchange building) is easily Lille’s finest building. Designed in the mid-17th century, at the height of the Renaissance style, Vieille Bourse is actually a compilation of 24 identical houses. They are all set around a richly ornamented interior courtyard that frequently hosts an antique book market and chess games. 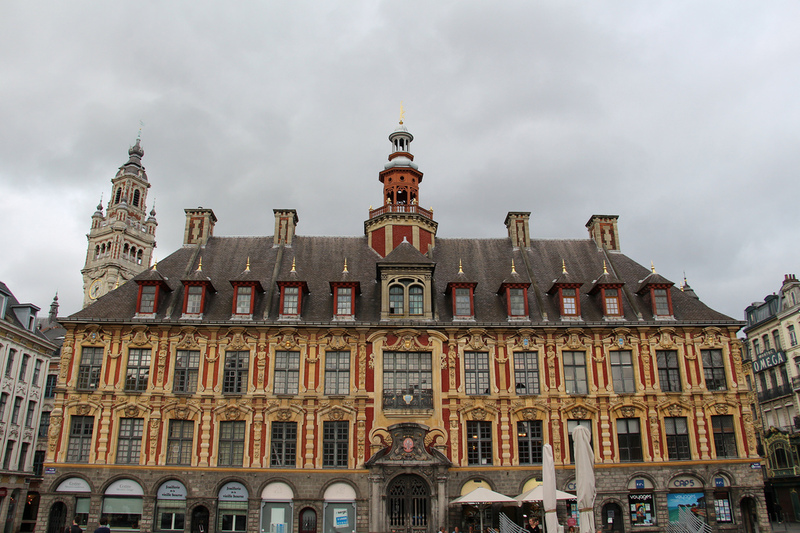 Admission to visit the building is free so visiting the Vieille Bourse is one of the best things to do in Lille! 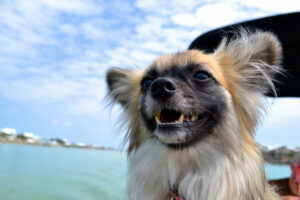 You’ve spent your day sightseeing so now it’s time to have some fun! The Lillois are especially known for being friendly and welcoming people so let’s mingle! Solferino Street especially comes alive on Thursday nights with young students and Fridays and Saturdays with “older” locals. 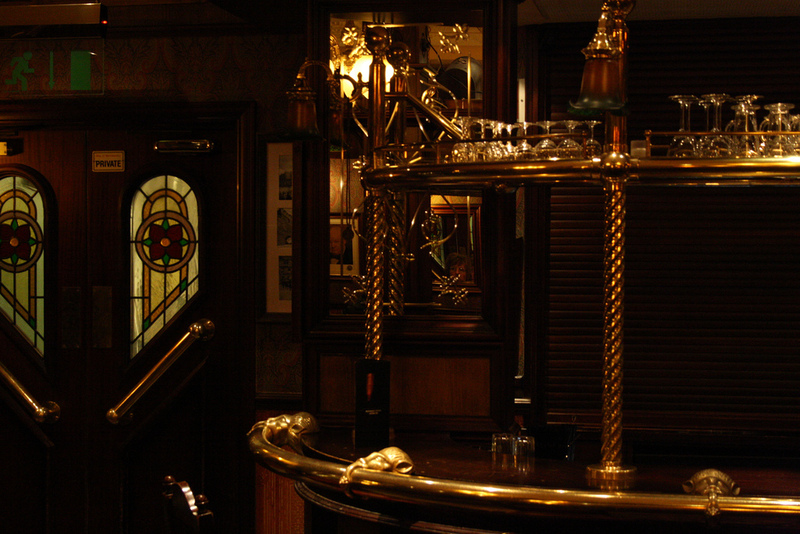 Choose from the multitude of bars, pubs and clubs! Enjoy live music, a fresh beer and a night out on the town. It’s one of the best things to do in Lille! 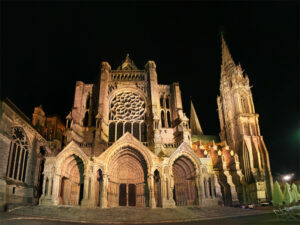 Related: Visit France: Best Places to see!